Icon 56 is the great housing project developed by Novaland Group – one of the largest real estate corporation in Vietnam. With Icon 56, the Novaland Group offers another brilliant choice for the residents who are looking to live in the best quality apartment with all the modern amenities right at the doorstep. Located at the prime location of Ben Van Don street of district 4, it’s only takes less than 2 minutes to reach the center district 1. 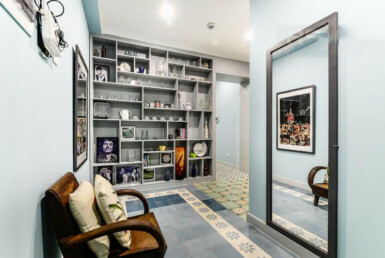 Nonetheless, the big Nguyen Hue Avenue is within walking distance from Icon 56 apartment for rent. Moreover, there are other architectural landmarks of Ho Chi Minh city are nearby the apartment complex such as Ben Thanh market, the main Opera House, Nha Rong Harbour, People’s Committee of Ho Chi Minh City, etc. This has created additional value to the land property of Icon 56 apartment. 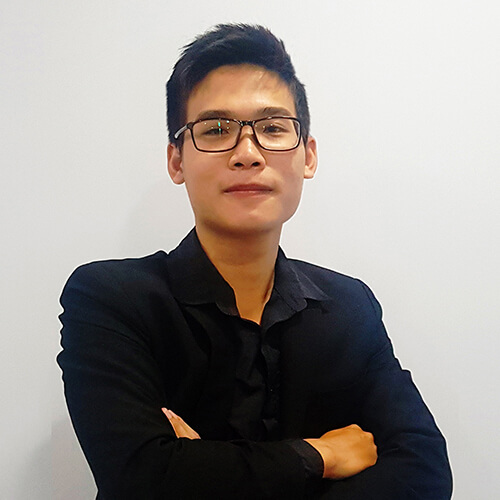 That also means that the residents of Icon 56 can easily travel to other financial residential buildings and shopping centers at the heart of the Ho Chi Minh city. The most remarkable feature of Icon 56 is that three sides of the building are surrounded by the Saigon River, which creates a fresh atmosphere as well as excellent ventilation for the building. Inside the vicinity of Icon 56 are all the essential amenities such as grocery stores, gym area, community zone, infinity pool, two different basements for vehicle parking. Most importantly, it has to be mentioned that the view on the top terrace of Icon 56 is home to reveals a 360 panoramic degree view of Ho Chi Minh city. Because of the extensive views, the residents of Icon 56 can immerse in the bustling sight of the Saigon city, especially at night when all the shimmering neon lights from other skyscrapers lighting up the entire area. Heading into each apartment unit, the tenants can immediately feel the exquisite lifestyle thanks to the modern interior design and expensive furniture inside the apartment. With three sides of Icon 56 facing Saigon River, a majority of apartments for rent at Icon 56 will contain the grand view of the peaceful Saigon River. The residents can enjoy every new morning filled with fresh air and tranquil environment. 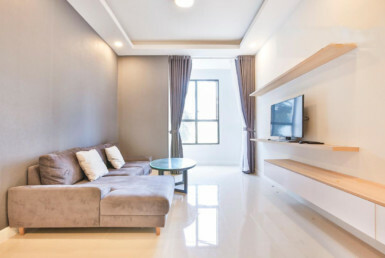 All the rooms of the apartment complex have a solid layout design to create a spacious living arrangements area for the residential real estate. 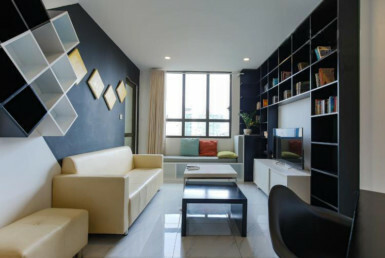 Most importantly, the apartment for rent in Icon 56 is already fully furnished. The kitchen consists of all the expensive and state-of-the-art cooking appliances, while the furniture has been selected from the famous top brand in the world. The tenants can enjoy the new high-end apartment and luxurious life immediately without any worry for an extra piece of household products.